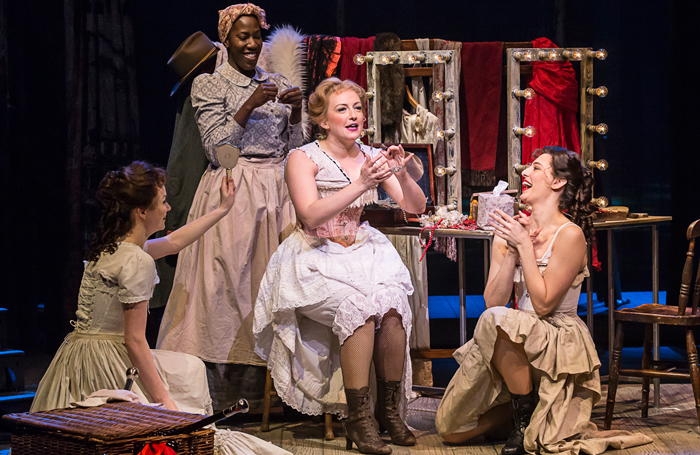 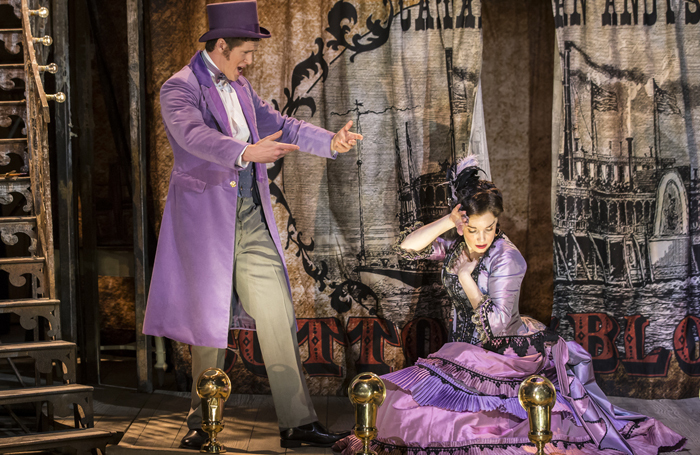 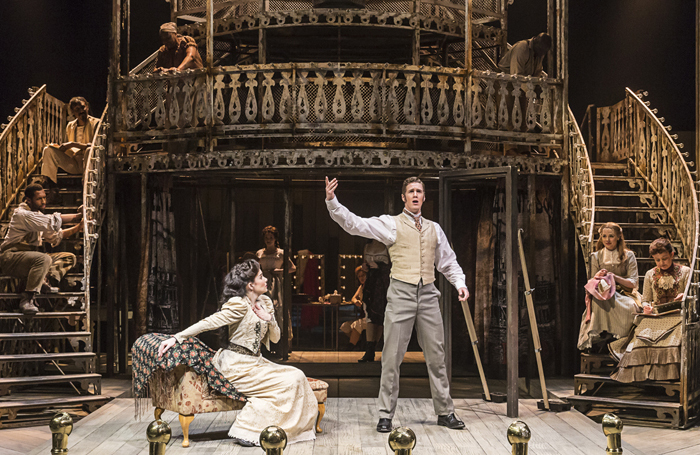 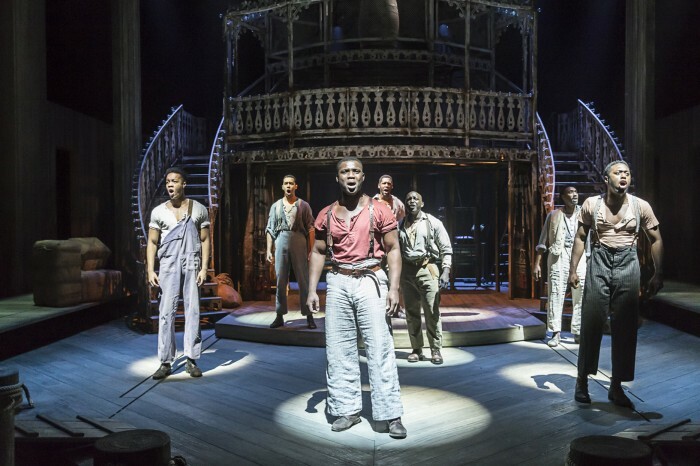 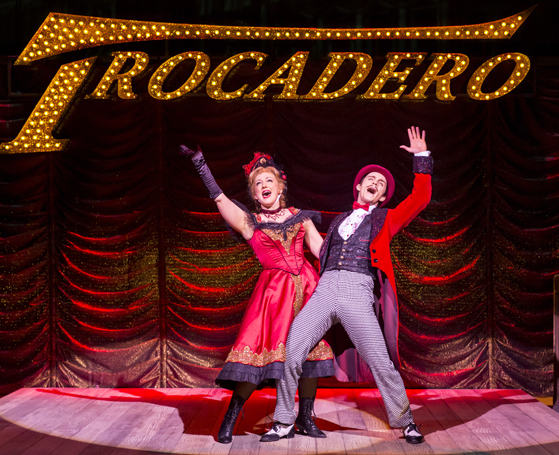 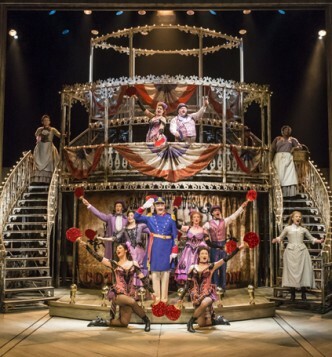 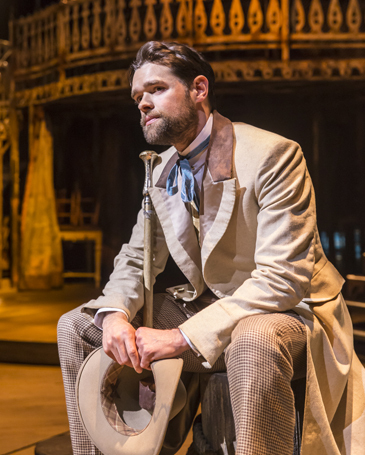 With its rapturous score, full of operatic melodies of romantic yearning, gorgeous folk ballads and exhilarating ensemble numbers, there’s no musical quite like Show Boat. 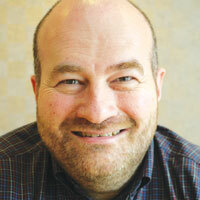 But revivals often move at the kind of slow, stately pace as the majestic Mississippi River on which it’s set. 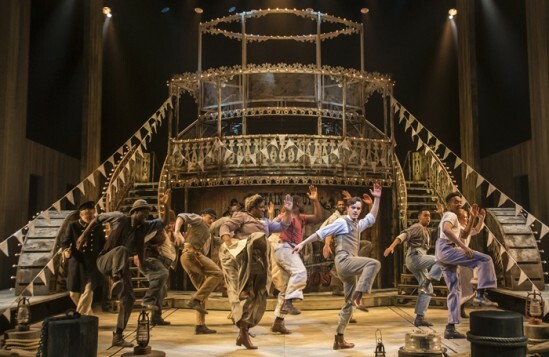 The joy and surprise of Daniel Evans’ mighty new production, a transfer from Sheffield’s Crucible Theatre, is how compressed and fleet of foot it is here. Using a new version developed for Connecticut’s Goodspeed Opera House, it manages the seemingly impossible: it maintains the epic sweep of the show, while also bringing its tender, poignant love stories into heartbreaking focus. 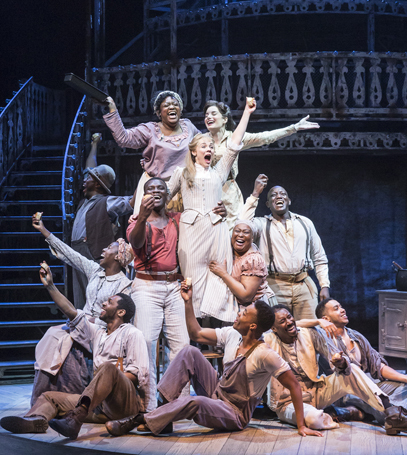 Kern and Hammerstein’s 1927 show famously tested and expanded the possibilities of the modern musical, and this magnificent staging makes it feel both revolutionary and timeless. 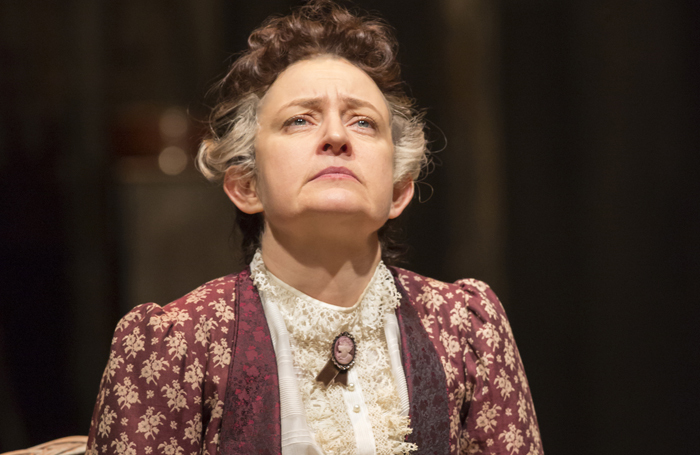 There’s an expansive generosity to a transfer that replicates the wrap-around thrust staging of the Crucible, with Lez Brotherston’s boat – sparkling like a three-tiered wedding cake – spectacularly advancing towards the audience. 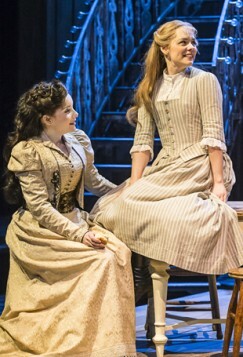 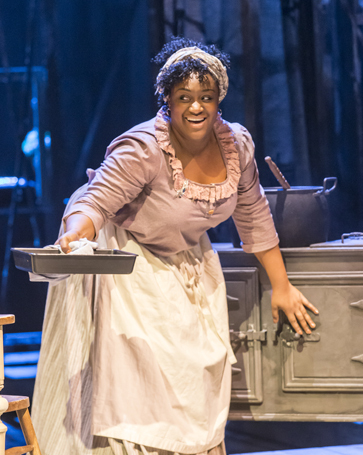 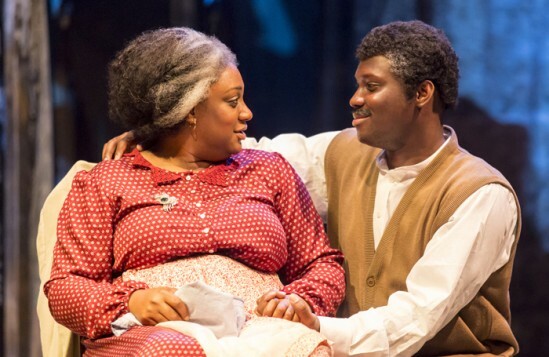 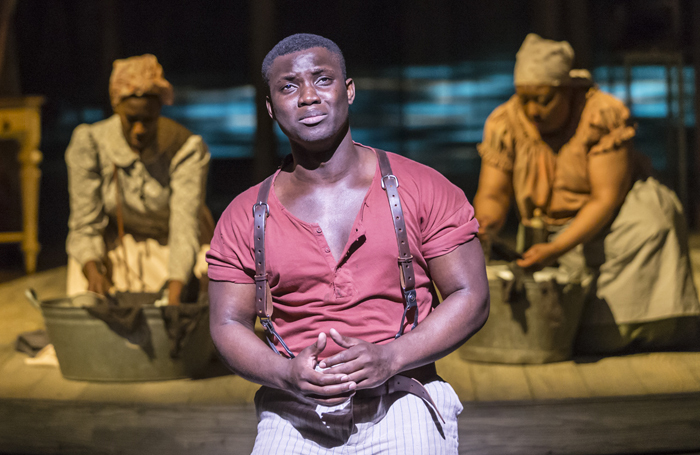 Musically, too, the show is entirely honoured, with stunning vocal performances led by Emmanuel Kojo giving resonant voice to Ol’ Man River as the stevadore Joe, Sandra Marvin’s haunting delivery of Mis’ry’s Comin’ Aroun’, and thrilling Rebecca Trehearn who gives a heartbreaking rendering of Bill. Meanwhile, Gina Beck’s luscious soprano is perfectly matched by the liquid warmth of Chris Peluso’s voice as Magnolia and Gaylord, asking of each other, Why Do I Love You? 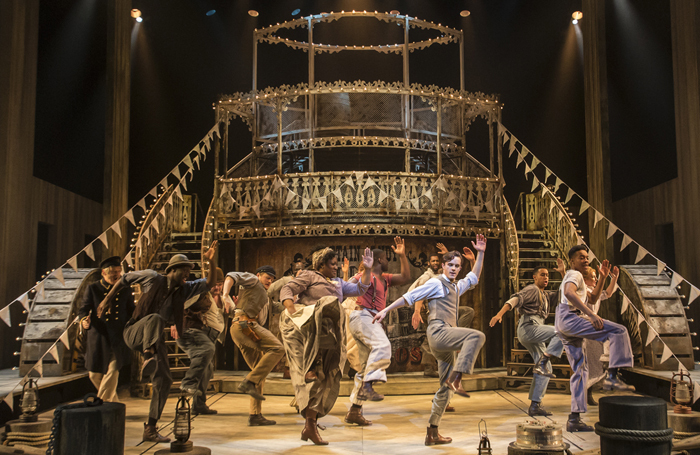 There are plenty more reasons why I love this show, including Alistair David’s vibrant choreography – it makes the entire stage pulse with movement.